It can be difficult to know exactly which types of vehicle you’re allowed to drive these days, but the good news is that you don’t need a special licence to drive the majority of conventional vans. That said, your age, the date you passed your test and the exact weight of the vehicle, among other factors, can all have an effect on whether you’re legally allowed behind the wheel. Can I drive a van with a car licence? Yes, you can. 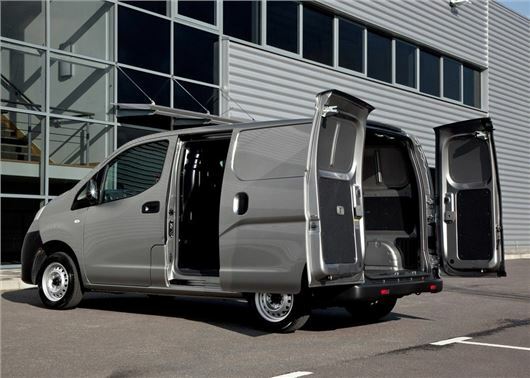 A full UK driving licence (category B) entitles you to drive conventional, rigid-axle vans or pick-ups that weigh up to 3.5 tonnes and have up to eight passenger seats. In short, that means you can drive most normal, light vans with a car licence. In 2017 the Government increased the weight limit for electric vans. Taking into account the added weight of electric or hybrid-electric drivetrains, the rule change increased the maximum permissible mass for a Category B licence holder – that of someone who holds a standard car licence – from the current limit of 3500kg up to 4250kg. Electric vans in particular are generally heavier than diesels because of the large battery required to store the electric charge. This reduces the amount of goods they can carry, or it means that van drivers have to apply for a category C licence with the associated costs and medical report requirements. It sounds strange, but the date you passed your driving test also has a bearing on the types of vehicle you can drive. If you passed your test before January 1997 then you may automatically be able to drive larger, heavier vehicles weighing up to 7.5 tonnes (the back of your driving licence will tell you for sure). Anyone who passed their driving test after that date needs to pass an additional test in order to drive vehicles heavier than 3.5 tonnes. How can I tell what type of licence I have? You can tell exactly what types of vehicles you can drive from the information on the back of your photocard driving licence. There are four columns on the rear of a modern licence; the left-hand one displays categories (i.e. the specific types of vehicle you’re allowed to drive) and the two central columns show the start and expiration dates for each category. The column on the right is for driving licence codes and displays any conditions relating to your licence, such as if you need glasses or corrective lenses. More information about how to read your licence can be found on the Government’s website and you can also check the type of licence you have and the categories of vehicle you’re entitled to drive via the DVLA’s online database. Driving licence categories are different in Northern Ireland. Though they’re broadly similar, it’s best to check the NI Direct website. Do different types of vans need different licences? You need a different licence to drive heavier vehicles. A category C1 licence allows the holder to drive vehicles that weigh between 3.5 and 7.5 tonnes, while a category C1 E covers vehicles up to 7.5 tonnes with a trailer over 750kg and combined weight of up to 12,000kg. You might also need to fit a tachograph if the vehicle weighs over 3.5 tonnes when fully laden or towing a trailer. How old do you have to be to drive a van? You can drive a normal van that weighs less than 3.5 tonnes from age 17 providing you have a full UK driving licence (category B). However, you can’t apply for a category C licence for heavier vehicles until you’re 18. What if I have an older driving licence? The UK driving licence has evolved over time and the most recent change was on 19 January 2013 when the licence was adapted to meet European Union rules. The descriptions of some categories changed slightly but there was no effect on the standard category B licence for normal cars and vans. Driving licences issued before June 1990 described the different vehicle types as ‘groups’ instead of ‘categories’. If you have a licence of this vintage and you’re unsure about what it means today, then have a look at the Government’s information about older driving licences and how they translate to modern standards. I’m still not sure. What should I do? The Government has a simple, free to use online tool that tells you exactly what types of vehicle you can and can’t drive and incorporates information such as your age, the type of licence you have and the date you passed your test. It also publishes information about the different driving licence categories.